Colombang Bakery is one of the top five bakeries in the nation, and has been operating for nearly 70 years at the same location in Mokpo. It is known as the first place in the city to use fresh cream in baked goods. 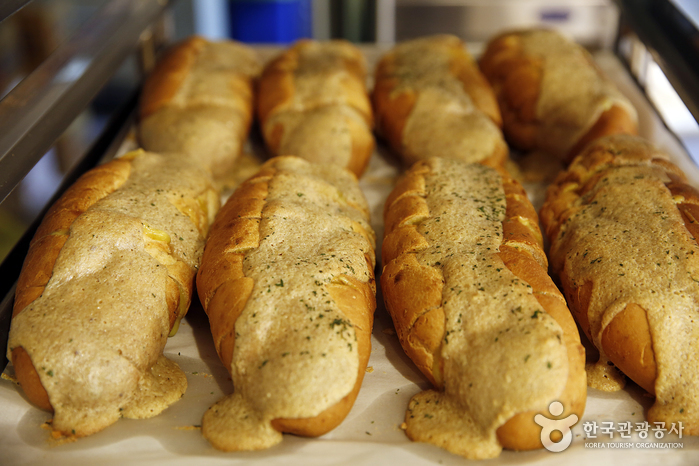 The most popular breads here are the cream cheese baguette and the shrimp baguette. Opened in 1976, Samho Bokjip specializes in food that uses puffer fish as the main ingredient. The restaurant uses fresh vegetables and savory broth to bring out the best flavors of a puffer fish. Chowonnongwon is located near Samrakgangbyeon Park, a famous park in Busan, that offers an entire view with Nakdonggang River and the park at a glance. 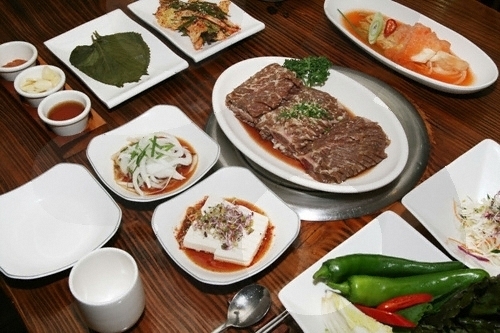 The restaurants serves hanu (Korean beef) at reasonable prices. 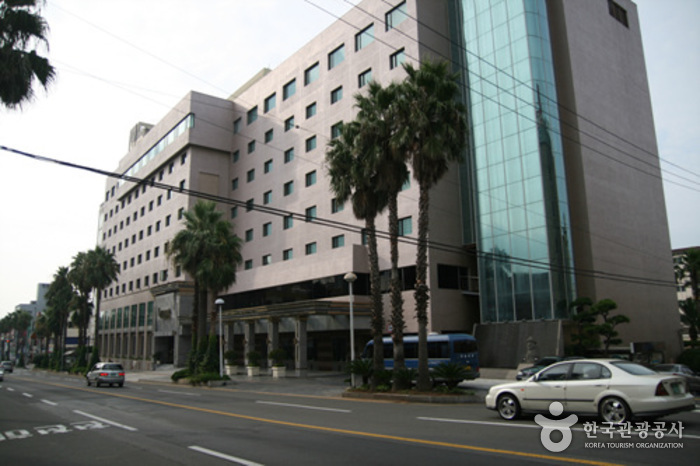 Icheonok is situated in a hot springs city with a long history. Located only about 50 minutes by intercity and express bus from Dongseoul and Gangnam Express Bus Terminal, it’s a great place to relieve your stress by dining in comfort. 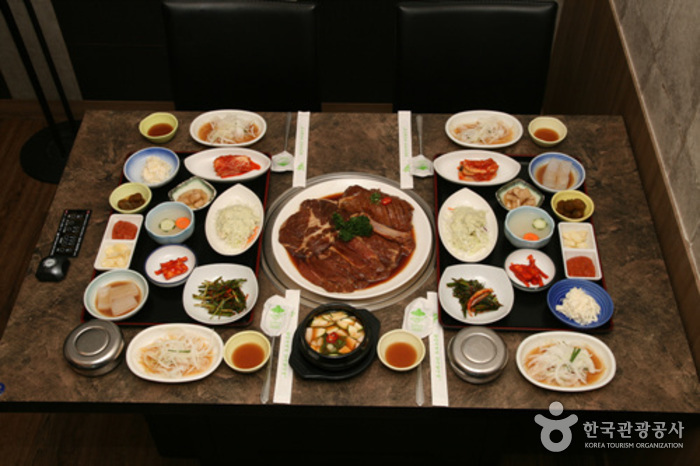 It serves Icheon rice and a table full of delicious side dishes. Mokjangwon has a traditional Korean atmosphere mixed with modern design, and each of the floors has a unique interior. 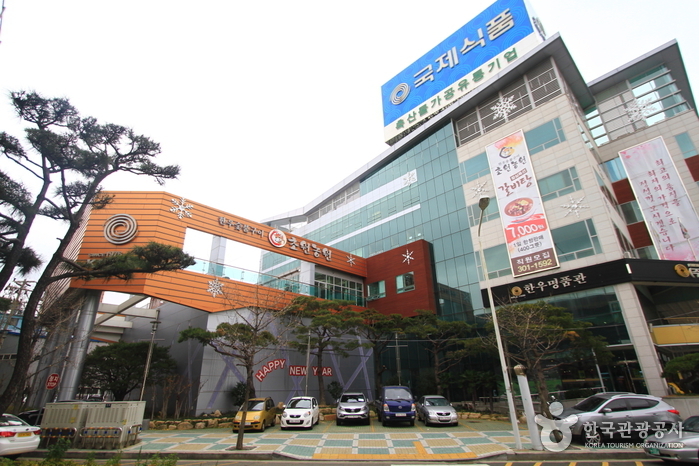 It’s the largest restaurant in Busan. After dining, you can take a stroll on the walking trail or go to the observatory nearby with your family or friends to rest. This Chinese restaurant is run by a family for two generations and has been in business on Jeju Island for about 50 years. It’s particularly popular among Taiwanese and Chinese tourists visiting Jeju Island. 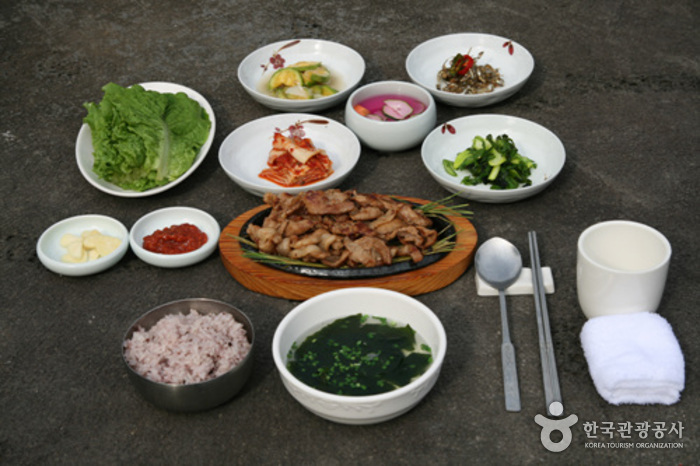 This galbi restaurant is located in Taereung where the popular dish, Taereung Pork Galbi originated. The restaurant is equipped with their original charcoal roasters that release less smoke and smell when grilling pork or beef galbi at the table. 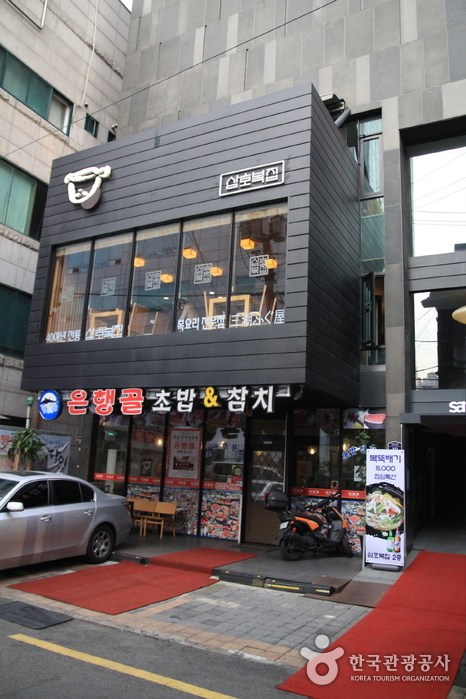 The restaurant has been specializing in samgyetang (steamed chicken with rice and ginseng stuffing) since 1982. It’s inside a traditional Korean house with a well-landscaped garden in a cozy atmosphere. 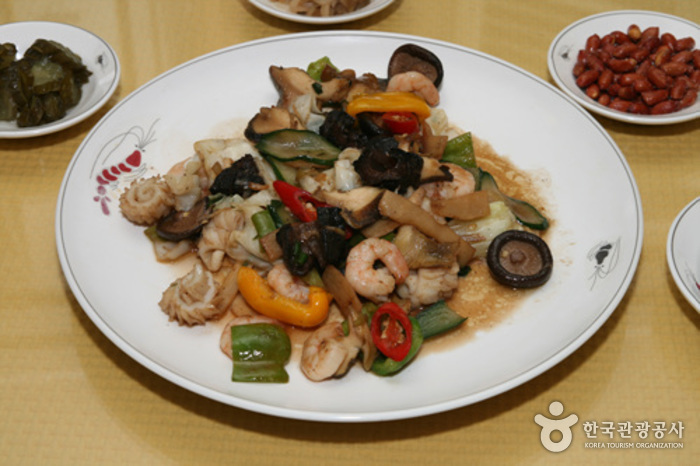 Old Shanghai is an authentic Chinese restaurant situated in T.H.E. Hotel & VEGAS CASINO, serving a wide variety of Chinese dishes. 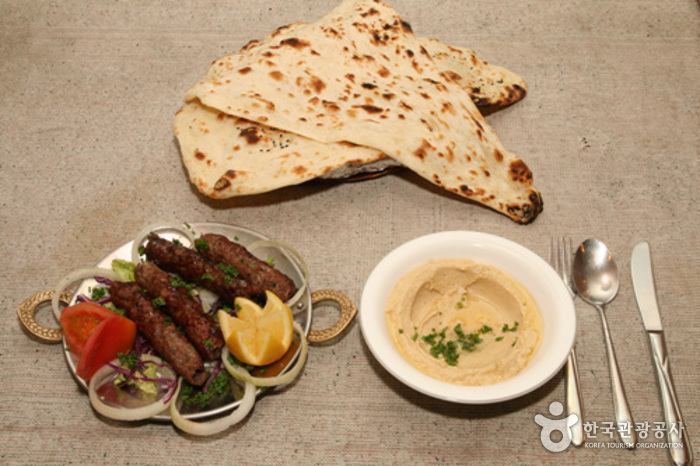 It’s popular among foreign casino players and great for family and business dining. 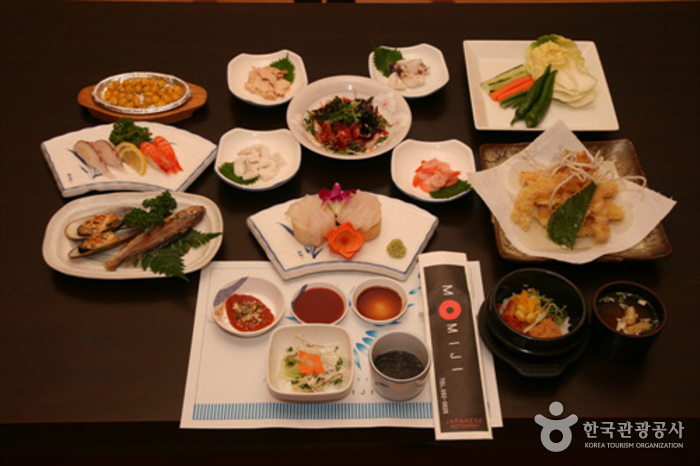 Located in Jaeam Folk Village (Hallim Park), the restaurant is spacious and is well known for its traditional local dishes such as charcoal-grilled Jeju pork, seafood and mung bean pancake, nutritious sea urchin soup, and jopssalju (Jeju-style wine made of millet and yeast). It also serves cold herb naengmyeon in the summer and pheasant buckwheat kalguksu (knife-cut noodles) and a local dish called pheasant bingtteok in winter.